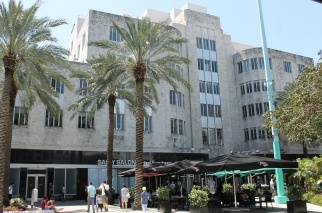 Description: A commercial building designed by architect Albert Anis in 1940. Key Art Deco features are the curved corners, keystone rock facing, and raised parapets. 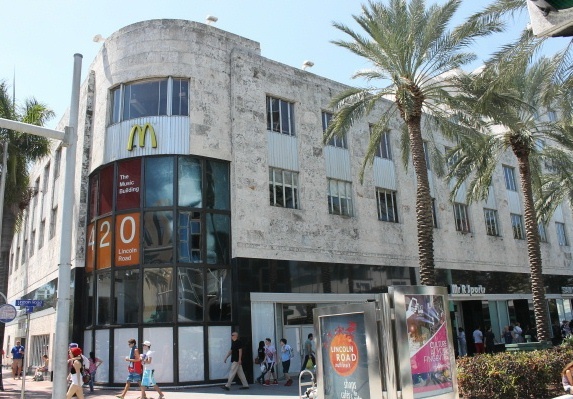 History: This large building has had a variety of tenants, including a Woolworth store for many years, the Beach movie theater, banks, drugstores, and now a McDonald's restaurant.